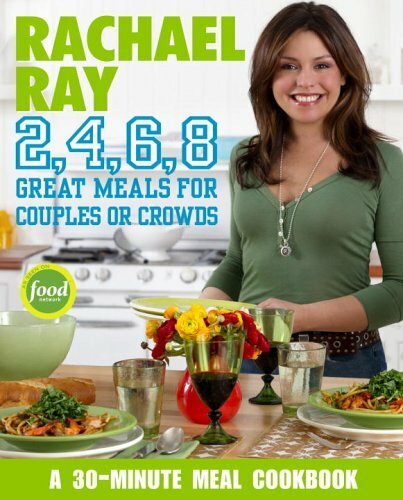 FYI - Rachael Ray's newest cookbook: 2, 4, 6, 8: Great Meals for Couples or Crowds releases in bookstores today. I pre-ordered mine and it is scheduled to arrive today. I might have to break down and walk over to the bookstore to check it out. This one is 304 pages long and is currently ranked at 135 on Amazon's books list, even though it only released today. If Rachael's previous books are any indication, it will move quickly onto the Bestsellers list. The Open House Cookbook is there now.